As a result of the reduced engine speed, the engine could stall, increasing the risk of a crash. BMW will notify owners, and dealers will update the throttle control software, free of charge. The safety recall is expected to begin in December 2013. Owners may contact BMW customer relations at 1-800-525-7417 or email BMW at CustomerRelations@bmwusa.com. This affects 2,475 K1600GT and K1600GTL motorcycles manufactured between Jan 10, 2011 and March 8, 2012. This recall involves the engine control unit software. A calibration threshold within the throttle valve control software has been determined to be overly sensitive. As a result, under certain operating conditions, an implausible signal may be registered within the engine control unit. If this happens, the engine control unit may initiate a "fail safe mode" (ie. "limp home mode" engine speed limited to approximately 2,000 RPM). In rare cases, the engine could stall, increasing the risk of a crash. On August 22, 2011, BMW received the first complaint of engine stalling on K1600 GT in Europe. At that time, no complaints had been received in the US. 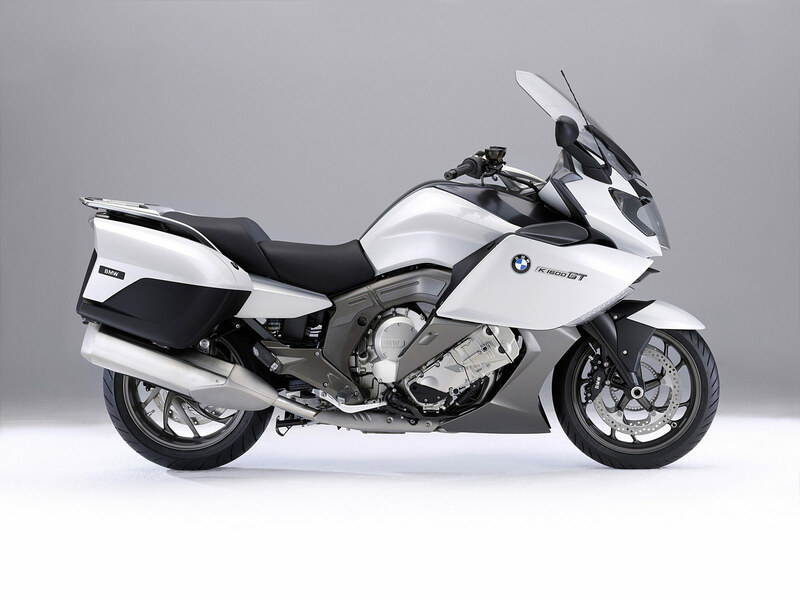 On November 14, 2011, BMW obtained the customer's motorcycle for inspection. Results from this engineering inspection suggested a number of possible causes. However, a systematic pattern and root cause for stalling the customer's motorcycle could not be identified. Between August 22, 2011 and December 31, 2011, BMW received a total of 7 complaints from the European market. The first complaint in the US market was received on November 10, 2011. In January 2012, BMW received one report of an incident where the customer experienced knee swelling after the motorcycle allegedly stalled and fell on him while he was making a U-turn. BMW was not able to duplicate the stalling condition on this motorcycle, and is our current understanding that the customer has not sought medical attention. Independently, an engineering a review program was initiated in November 2011 for the K1600 model line to address cases in which engines experienced "fail safe mode" operation. This program focused upon the engine control unit and the throttle valve control software. As part of this program, discussions with the throttle valve supplier were initiated, and involved an examination of throttle valve design and application. During this process, BMW learned that the throttle valve control software K1600 GT/GTL was similar to another BMW model in which the tottle valve design and construction was different. It was thought that the throttle valve control calibration threshold might be overly sensitive for the application on the K1600 GT/GTL. This program concluded in February 2012. An update to the engine control unit throttle valve software was introduced to production in March 2012 to reduce the possibility of "fail safe mode" occurrences. By that time, 5 more stalling complaints in the European market, and 2 more complaints in the US market were received. By May 22, 2012, a total 13 complaints of stalling had been received in the European market, as well as one in Australia, and two more in the US. During this time, engine stalling and "fail safe mode" operation were not understood to be associated with one another. Due to an increase of complaints in "fail safe mode" occurrences, BMW initiated a program to collect and analyze vehicle service history and related diagnostic information. This program involved the review of engine control unit information and throttle valve control unit fault codes. By February 2013, analyses of the data indicated an increasing rate of "fail safe mode" occurrences on models produced before March 2012. Between May 2012 and September 2013, four additional complaints of engine stalling were received in the US market. Additionally, based upon a review of customer complaints in the NHTSA database, NHTSA did not receive any complaints of engine stalling in 2012; however, the database does contain three complaints received between June and September 2013 that may be related to this condition. Between February and October 2013, further engineering analyses were finally able to confirm that some of the "fail safe mode" occurrences were associated with, and could also lead to, engine stalling. The analyses concluded that the overly sensitive software calibration threshold was likely the root cause for engine stalling. Production and manufacturing records were examined in order to determine the number and production range of potentially affected motorcycles. On October 17, 2013, BMW decided to conduct a voluntary recall. BMW is not aware of any accidents, and is only aware of one minor injury that may be related to this issue as described above.